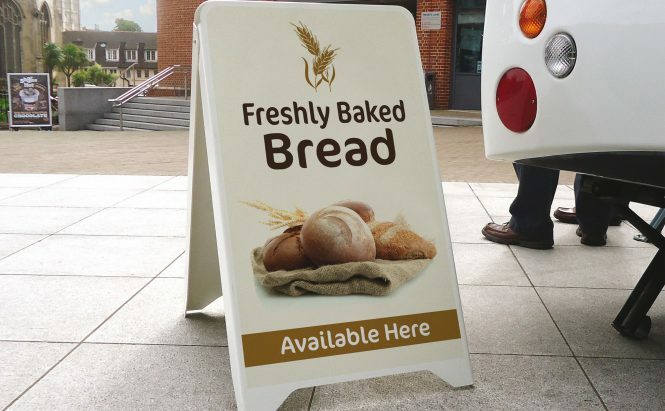 Our diverse range of A-Frames, Pavement Signs & Chalkboards include options for almost any retail or leisure environment and any budget. 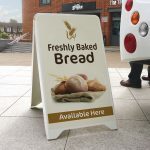 Choose from models that can be used for permanently printed graphics or interchangeable displays, our signage is durable and suitable for indoor and outdoor promotional uses. 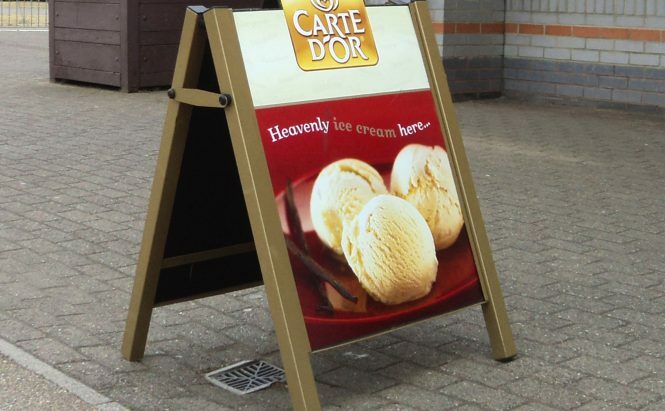 Our swinging pavement signs are a staple in outdoor signage. 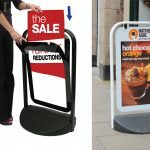 They can be purchased with printed aluminium panels or poster pockets, and are available in a range of sizes and colours. 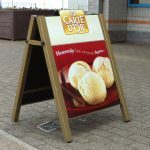 The market leading high performance, low cost Ecoflex sign is ideal for pavement, roadside and forecourt promotions. The Ecoflex is available in a range of sizes and panel options. 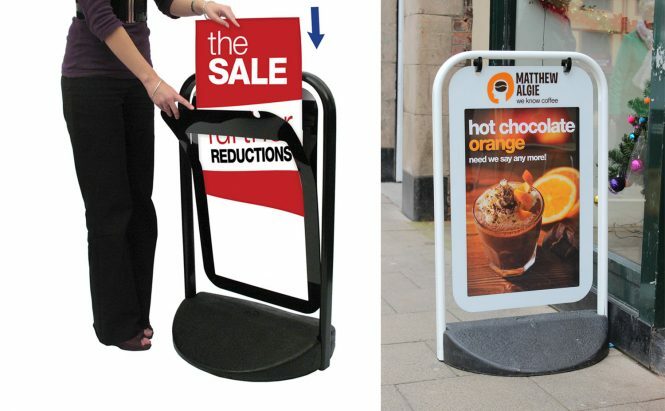 There are three standard sizes to choose from for permanent printed graphics – Ecoflexlite, Ecoflex 2 and Ecoflextra. 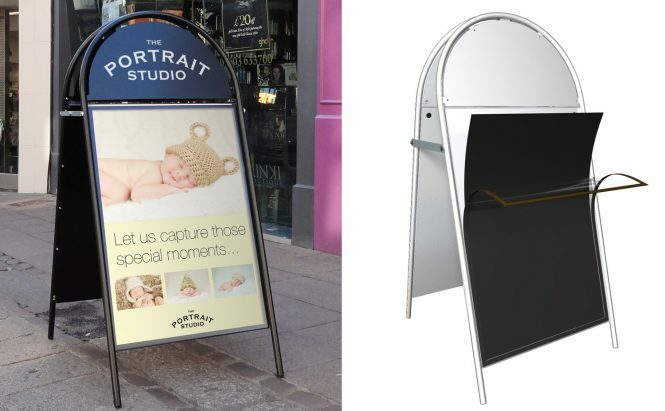 All use our aircraft grade flexible aluminium panel for optimum wind stability. 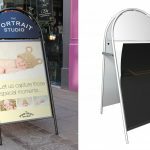 Double sided 480 x 812mm display area for self-adhesive vinyl graphics. 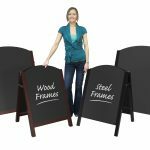 Budget “A” Boards come flat packed, pre-assembled with fixed hinges – simply adjust to the footprint you require (maximum 680mm for optimum stability). They are lightweight and fold flat for easy storage and portability. Rounded top corners for increased safety and style. Suitable for sheltered locations only. 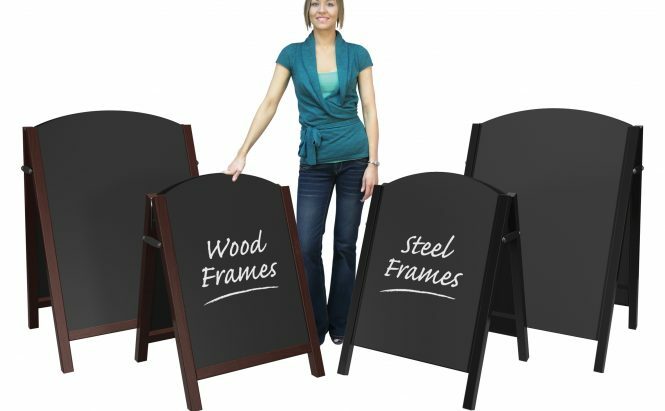 Chalkboard version available, suitable for use with liquid chalk pens.